There are three categories of voice-over demos. One, a Commercial demo, which is comprised of real or mock radio and television ads. Second, a Narration demo, which contains only voice - no background music or sound effects, and is aimed toward film and documentaries. Lastly, an Animation demo which presents a selection of character voices, perhaps with accents, and are mostly geared to the cartoon and animation world. Many voice professionals will have three separate demos, one for each specific type of submission. A well-crafted voice demo is a talent's calling card to the voice-over industry. It creates a contact point for you as a voice-artist. Without it, you will not find work. Your voice-over demo should be 30-90 seconds in length. Shorter is better. 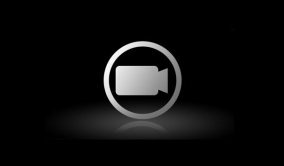 Industry casting agents have auditioned thousands of voices and can usually tell, within the first 15 seconds of listening, if you are what they are looking for. Excellent copy is paramount to the impact of your demo. Turn on the TV, listen to your radio. Listen for what is relevant and exciting. Your Commercial demo needs to sound as if it belongs among spots currently airing. A dated demo, makes you sound, well ...dated. Be patient. It takes time to develop your skills, personality, and your style. A good objective is four to eight audio segments in your demo. Select spots that resonate with you and speak to your 'inner voice'. Keep them within a believable age range. Child, Young Adult, Middle Age and Senior are typical categories. Show that you are flexible and capable of changing direction with your readings, as well as being varied and fresh-sounding. Don’t select, say, three automobile spots just because you really dig cars. Material choices can make or break your chances of sounding professional. It’s also wise to include one Public Service Announcement (PSA) in your demo. Be sure to include at least one spot using only your voice. Humour is good. Everybody enjoys humour and it's always memorable. Stay far away from impersonations and accents unless you do them extremely well. If you use them, do so judiciously. Many fantastic demos have failed because of bad character voices. Practice, practice, practice, and then... you guessed it, practice some more. This cannot be stressed enough. Before going in to a studio to professionally record your demo, if possible, get a recording device and record yourself. Voice over actors may use this handy online voice recorder for recording practice reads. Play back the results and critique what you heard. A main key is training yourself to read a lot of copy in a short period of time. You should develop your ability to speak quickly without sounding unnatural. Know your subject matter, and yes, do memorize the copy. If you are stumbling for words during recording, your reading will suffer and consequently your performance. If you need to 'brighten up' your reading, smile while you’re reading the copy - it really will add warmth to the sound. Also keep in mind variations in tempo and energy level as well as your pitch and volume. Go beyond the words, lift them off the page and make them your own. Use good microphone techniques. Proper microphone distance can and will affect the tonal quality of the voice. As you move in closer to the microphone, the sound level gets louder, and the bass response of many microphones increases. If you don’t know what you're doing, 'proximity effect' can create problems. Professionals frequently use this 'proximity effect' to advantage in order to make their voice sound both rich and articulate. Watch for letters which 'Pop'. P's and B's are typical problem areas which can be avoided by maintaining a suitable distance from the microphone. These familiar 'plosive' sounds are most noticeable when the speaker's mouth is positioned 1 to 3 inches from the mic. 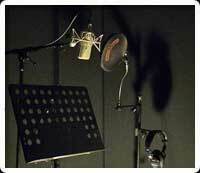 Most popping will disappear if the voice talent is 6 or more inches from the microphone. If you are doing a close read, direct your mouth slightly off-axis from the microphone. Place your best material with your strongest readings at the top of the demo. The main objective is to showcase your voice by making it interesting and memorable. Your first selection should be you in your most natural voice. When you have the Final Master, it's wise to make only a handful of copies at a time. Remember, your demo is always a work-in-progress. As you gain experience and hone your skills, update your demo and update it frequently. Discard weak spots as you create better choices. Be selective. 2018 JL Recording Studios. All rights reserved.